"Cause I'm Seasoned Haters Give Me Salty Looks"
This is the third single off of Knaye West's already platinum album, Graduation. This song also features T-Pain. What I really like about this song, is that Kanye only used T-Pain for part of the chorus so that the focus stays on West. This song is what you might call a feel-good song. The production is very up-tempo and bubbly. Kanye's lyrics are, as always, excellent and on point. He talks about what a good life really should be about. It's not all about money ("Whether you're broke or rich, you gotta hear this, having money's not everything that having it is), it is instead about really having an appreciation for the little things that truly bring about enjoyment. T-Pain and West combine wonderfully on the chorus. West also quotes a line from 50 Cent's "In Da Club", and uses it for the bridge. "50 told me go ahead and switch the style up, and if they hate, then let em hate, and watch the money pile up". A big reason that Kanye's lyrics are so good, is because people can relate to them. Take the second single, Stronger. West says "that that don't kill me, can only make me stronger". Everyone can relate to this and everyone can relate to what a good life should really be about. 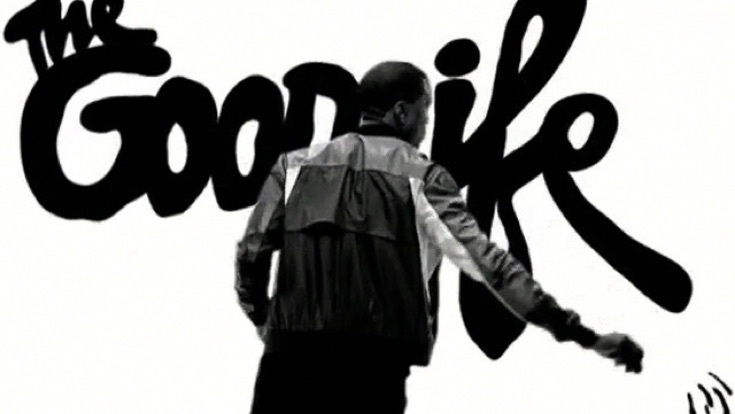 The video shows all the elements of a good life in color, and West and T-Pain in balck-and-white. Then, once they attain the elements of a good life, they switch to color. This is a great song and video, and another chart-topper for Kanye. I don't care what anyone else says, this video is one of the sickest videos of the year, and I have been waiting for iTunes to get it since it was on 106 and park. Buy this video if you are into a unique style with a good sound. Two up two down. BEST KANYE WEST SONG EVER!